Meet the shut-ins: two couples, Sharon and Andrew Hill and Aftab and Millie Ali. Sharon and Aftab, like thousands hidden across the country, are so overweight they rarely leave their homes. It means the partners who care for them are also imprisoned. 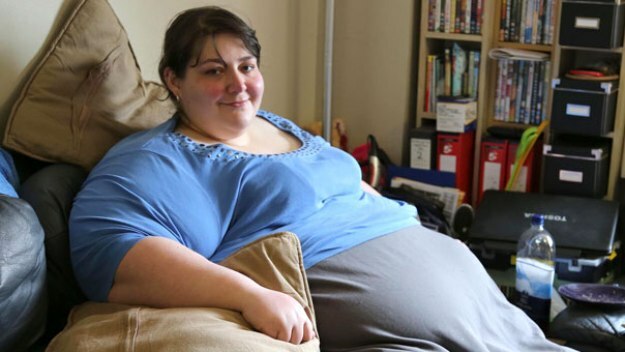 At 33 years old, 46 stone Sharon is Britain’s biggest woman and despite living in the picturesque Cotswold countryside, she never sees any of it spending 24/7 indoors. In four years, she hasn’t even been to the supermarket around the corner. 60 miles away in West Bromwich, Aftab and his new wife Millie are also trapped. All of Aftab’s time is spent on his couch. While he consumes up to 12000 calories a day, Millie is relied upon to tend to his every whim. Over seven months, cameras reveal the life they live behind closed doors, as they embark on a journey to turn their lives around. Aftab chooses to lose weight through diet and exercise alone. Sharon opts for weight loss surgery. With the help of a some of the country’s leading specialists (a surgical team, a psychologist, a dietician and a personal trainer) both will enjoy success. But they will also quickly learn that changing their diet is the easy part; the real battle is grappling with deeply ingrained behaviours. Their transformations not only alter their relationships with food, but with their partners. Whilst it’s Sharon that must go through surgery, Andrew is forced to deal with some demons of his own. And while Aftab loses weight he must also learns some hard truths about his own anger issues and the way he treats Millie.